Before there were pharmaceuticals to cure what ails us, there were herbs. There was a time when families and communities worked together to be self-sufficient with their health by growing plants that would cure everything from sunburns to indigestion. Chamomile flowers, specifically German chamomile, have great medicinal value when dried and made into a tea infusion. The tea is good for soothing a troubled tummy and calming a restless child. It eases intestinal cramps and irritation, indigestion, ulcers and colic. It also eases nervousness, insomnia, fever, muscle cramps, headaches, neuralgia, motion sickness, and the aches and pains of the flu. Externally it can be used as an eyewash for conjunctivitis, or used in creams for skin inflammation, burns and bites. 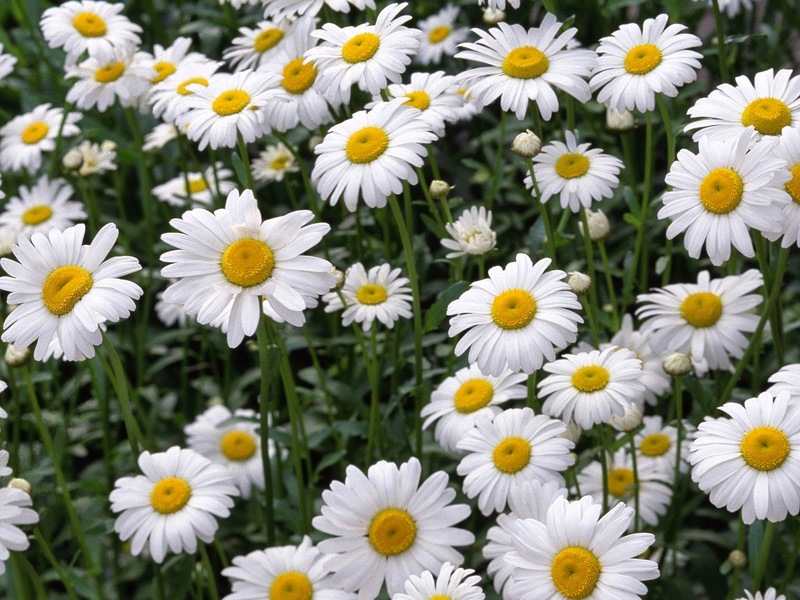 Chamomile likes moist, light and sandy loam with good drainage and enjoys being crowded. Start it from seed early in the spring so you are ready to harvest before the heat hits, which tends to stunt production. You can direct seed into a pot or the ground, in full sun or partial shade. Press the seeds into the soil surface and keep it moist and well watered to avoid spindly growth and a low bloom rate. Harvest chamomile regularly or else flower production stops. Harvest often, gathering flowers every 7-10 days. At summer’s peak, harvest multiple times per week. Dry the flower tops immediately after harvest because they degrade quickly. There are many varieties of lavender, however the best medicinal qualities come with traditional English lavender. Lavender lifts the spirits, relaxes the body, and allays nausea, digestive upset and colic. It also promotes relaxing sleep. It strengthens the nervous system and is recommended for stress headaches and nervous exhaustion. It also has anti-inflammatory and sedative effects, so it is the perfect tea right before bed. English lavender loves full sun and well-drained, gravelly soil. Its roots will rot in wet soil and it doesn’t do well with high humidity. Prune it back to a mounded shape for winter. Prune only to greenery, not into the woody stems. Make sure to protect it from winter winds and freezing temps. Gather the buds just as the flowers are beginning to open on a dry, warm sunny morning, as cold or rainy weather will lower the essential oil content. Separate the flowers from the stems after they are dry to avoid bruising them. Lemon Balm is sometimes called the “gladdening herb” because it lifts the spirits. Refreshing and relaxing, it settles the stomach and soothes the nerves. It calms a nervous heart and counteracts tension and insomnia. It also relaxes spasms of the stomach and intestines. If sipped in a tea after meals, it will ease heartburn and relieve digestive upset, such as a feeling of pressure or distension in the abdomen. A cooled tea infusion can be given to infants and young children by the spoonful to relieve colic and restlessness, especially in their first years. In the summertime, put a few sprigs of lemon balm into a pitcher of water and infuse in the fridge for a few days for a refreshing summer drink. 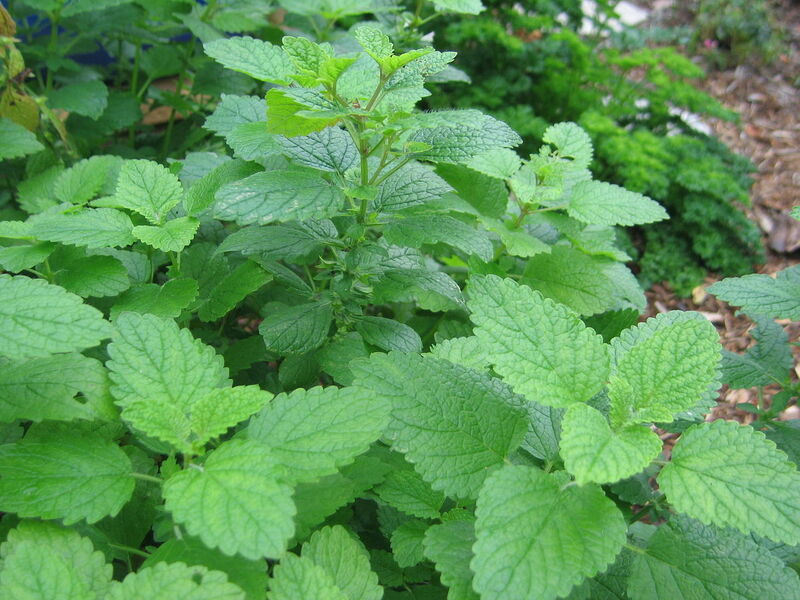 Lemon balm is very adaptable. It does well in full sun, and also partial shade in hot areas. It is frost hardy and tolerates crowding. Lemon balm prefers moist soil with good drainage but will develop higher levels of medicinal constituents with water stress. It self-sows and spreads easily. Harvest healthy leaves–not the yellow ones–and flexible stems from early to full bloom in midsummer and again in late summer/early fall. Essential oil content is highest in late bloom. Do not harvest when leaves are wet and be careful not to bruise them. Lemon balm needs complete darkness to dry, and it dries easily and quickly. Lemon balm has a short shelf life when stored, so use this potent herb often! Once you have grown and dried these powerful medicinal herbs, it is time to make your stress-busting tea by following the recipe below. Enjoy this tea 3 to 4 times a day for optimal effect, and especially right before bed for a deep and peaceful sleep.  Take charge of your health and create a garden that will take care of you long after harvest. Place the herbs in an infuser or container. Bring water to a boil and immediately pour over the herbs and let the mixture steep, covered, for 20 minutes. Strain and compost the herbs. Drink up to 5 cups a day. Can be stored in the refrigerator for up to 3 days.